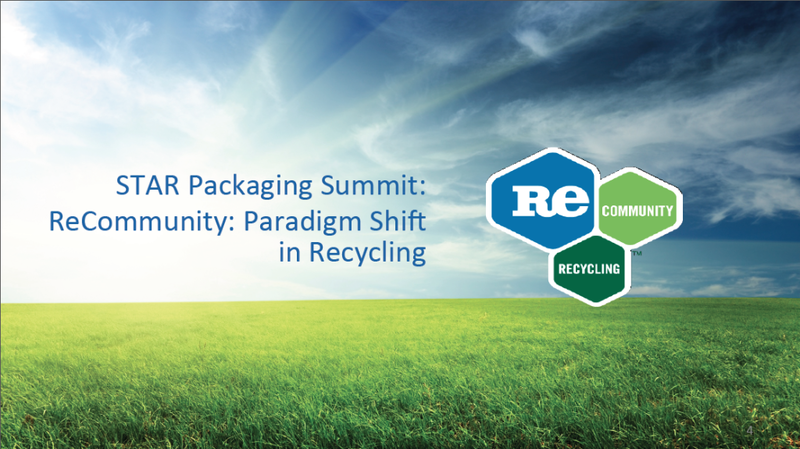 On June 25, 2015, the State of Texas Alliance for Recycling (STAR) convened the Texas Packaging Summit, a state-wide workshop to explore the biggest issues facing municipalities, recycling processors, and manufacturers with regards to complex package recycling. Convened in San Antonio, the Summit brought together national and state leaders and professionals from the recycling value chain to explore current trends in what Americans are consuming, current packaging technology, and how the waste stream is evolving as manufacturers consider more than just “end of life” packaging material. The Summit was sponsored by U.S. EPA Region 6. CDR Senior Program Manager Todd Bryan moderated and facilitated the day-long Summit and engaged participants from the packaging and recycling industries, municipal governments, and recycling advocates in identifying relevant issues and priorities along the value chain that are ripe for collaborative or coordinated efforts. Attendees were also asked whether they were willing to join a Working Group focused on priorities that emerged from the Summit and coordinated by STAR, with the assistance of CDR. Mr. Bryan also developed a framework for further collaborative action. The one-year framework is composed of a series of Working Groups formed around the most relevant priorities and a Plenary Group that is composed of Working Group members and individuals who have expertise and experience in the broader topic of package recycling in Texas and nation-wide. The framework builds on the June Packaging Summit and will use the Summit as the initial Plenary Group meeting. CDR was awarded a contract to further assist STAR in designing, managing and facilitating a packaging dialogue to address priority issues through collaboration and collective action among Summit attendees and additional stakeholders. For additional information contact Todd Bryan.